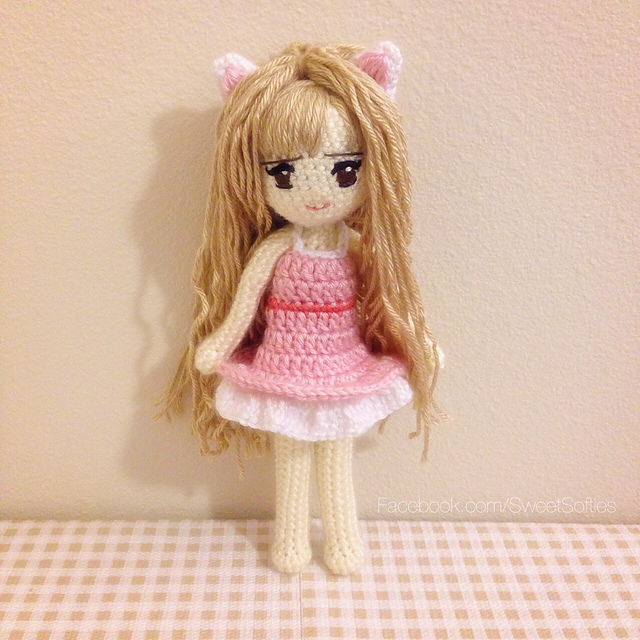 Here is "Kiki", an adorable Japanese anime-style cat girl doll! 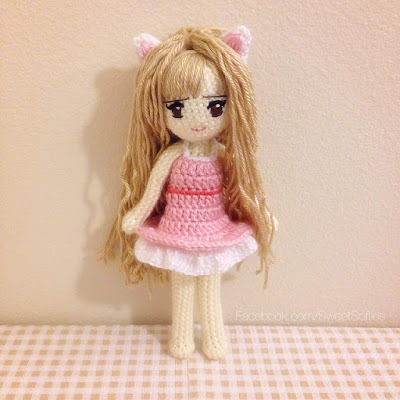 She wears a pretty, pink dress and has a set of kitty ears as well! Her favorite thing to do is to get her beauty sleep, play with her yarn hair, and make little “mew” sounds randomly throughout the day. She’ll be sure to brighten up your desk and day! Please click her for her pattern.